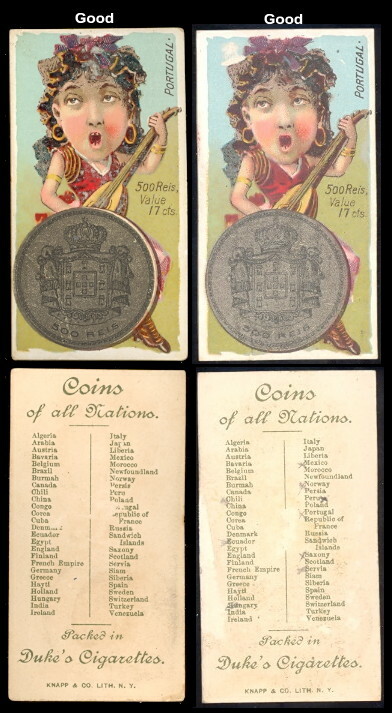 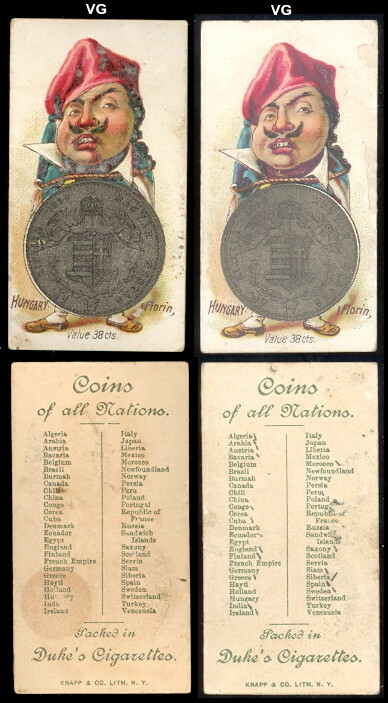 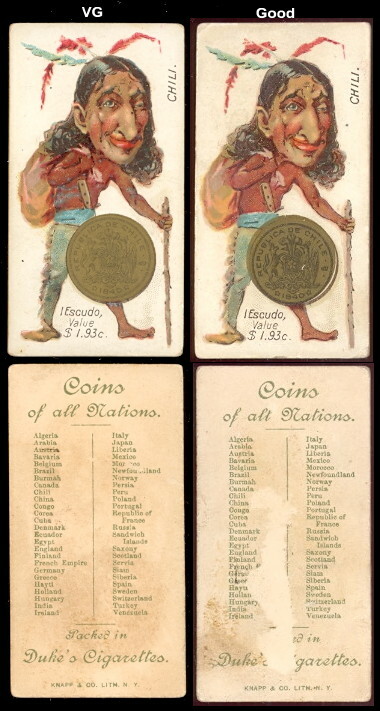 N72 Coins of all Nations. 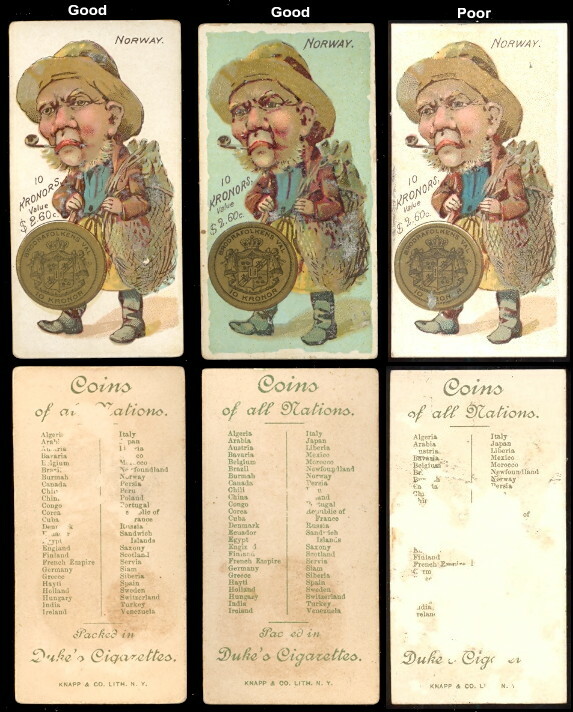 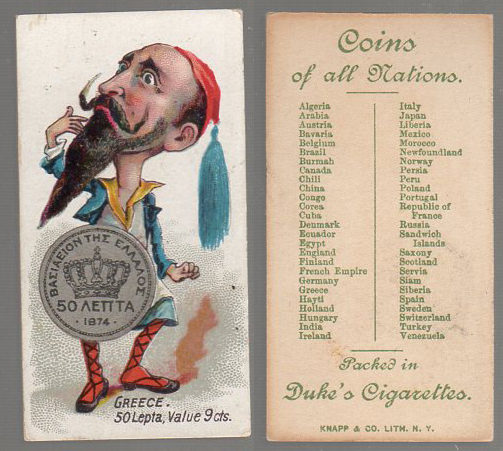 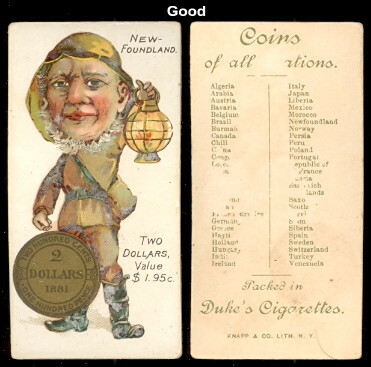 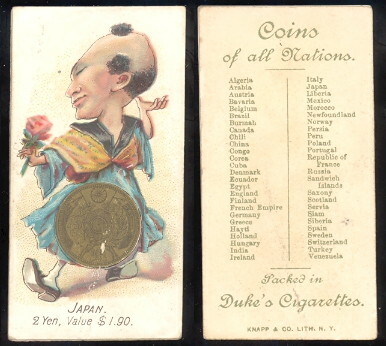 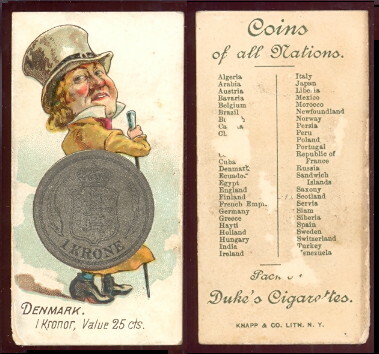 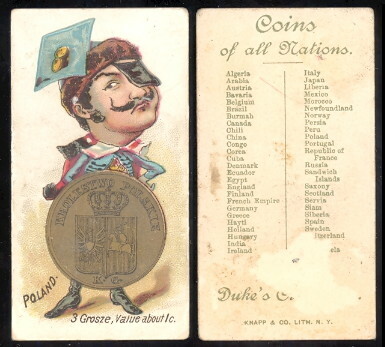 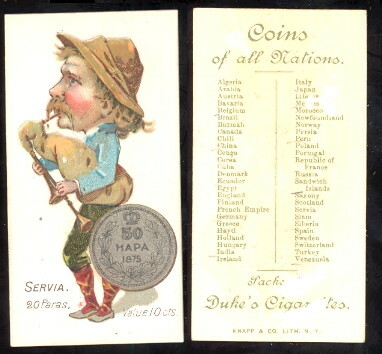 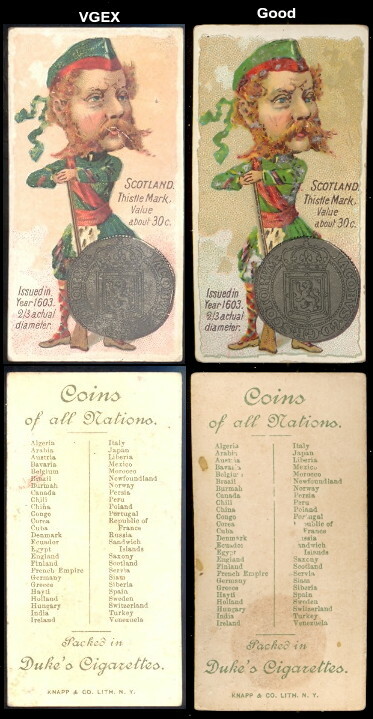 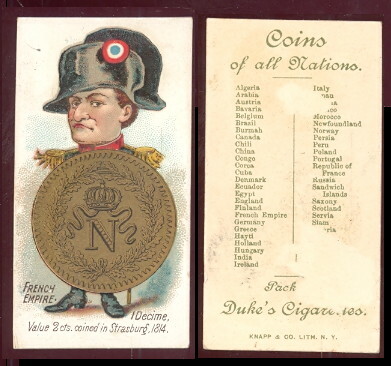 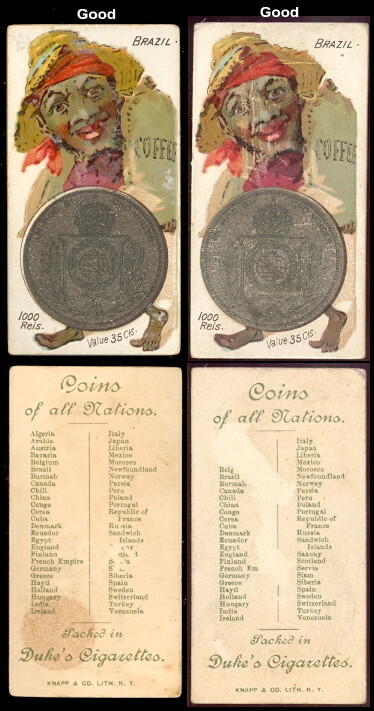 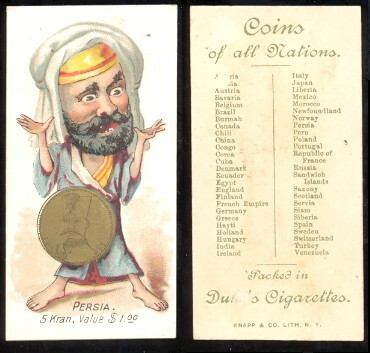 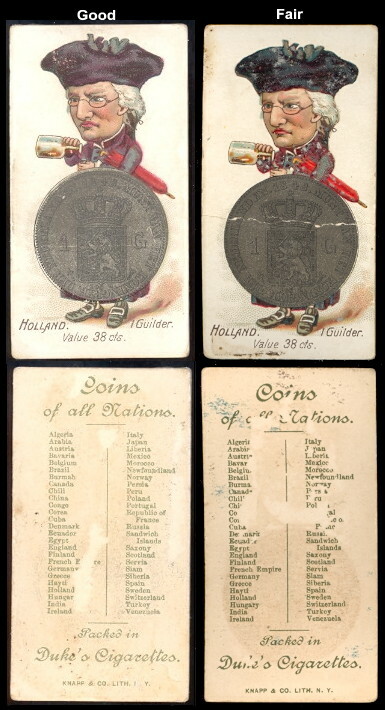 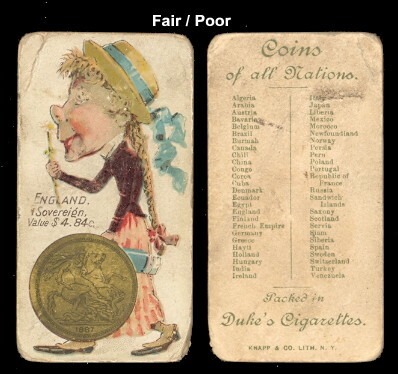 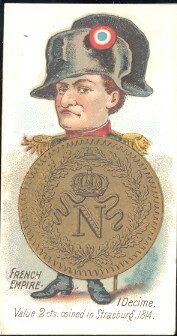 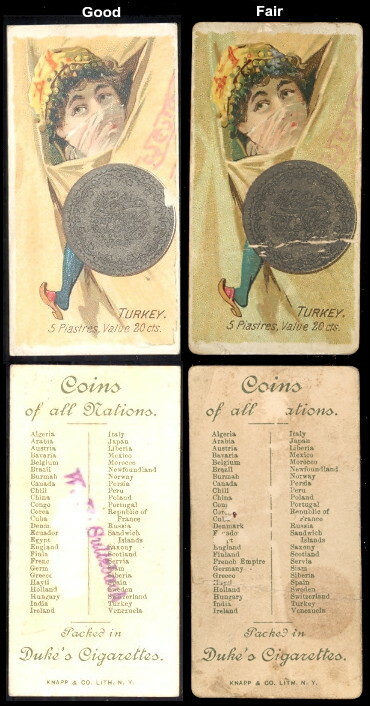 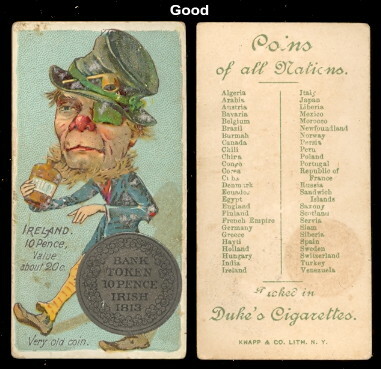 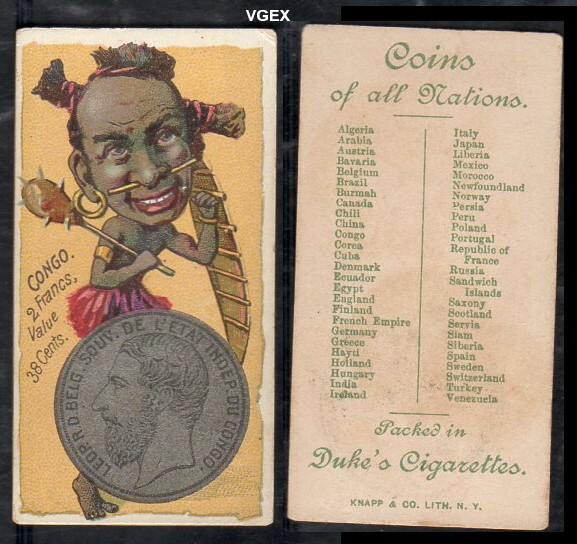 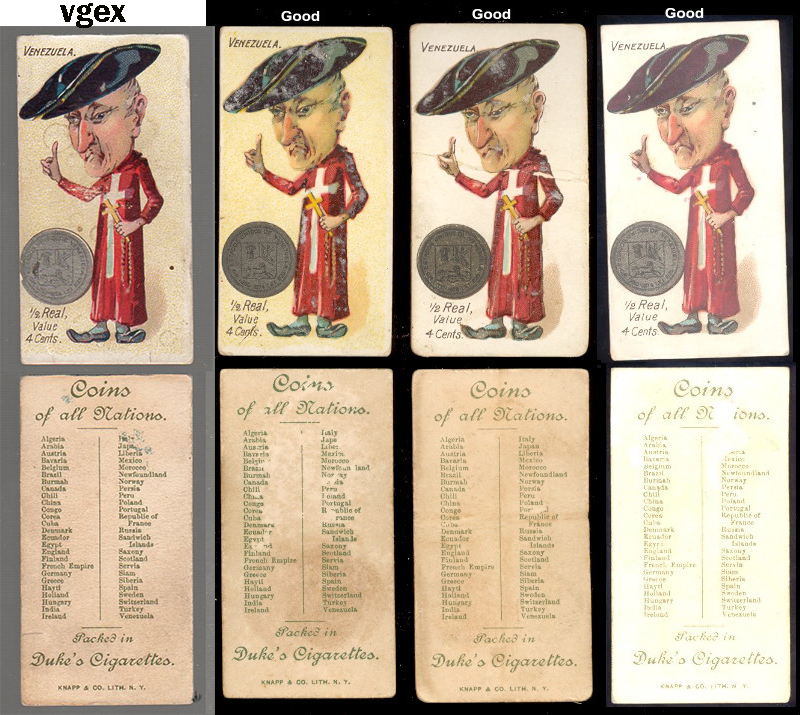 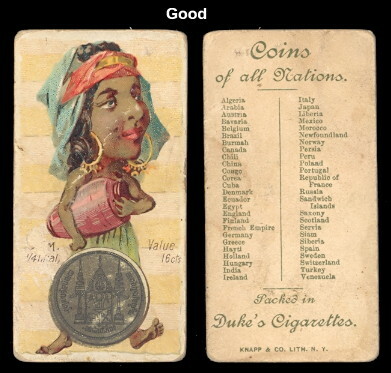 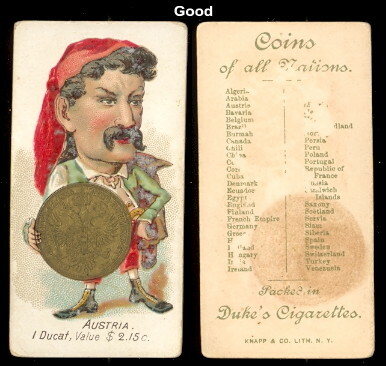 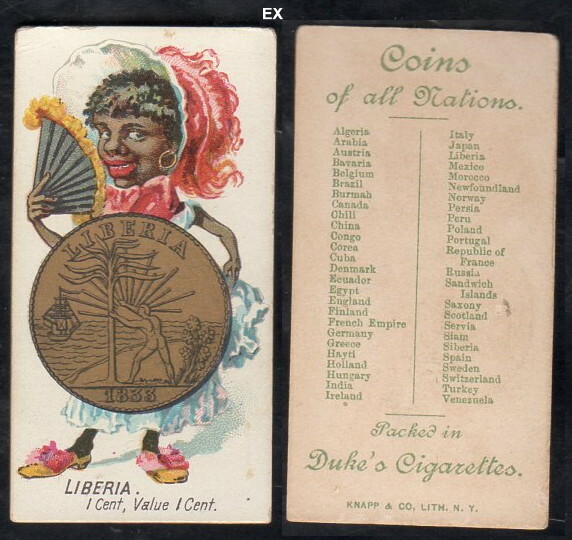 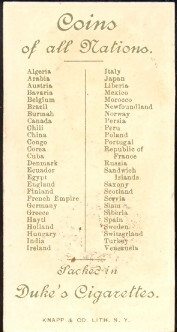 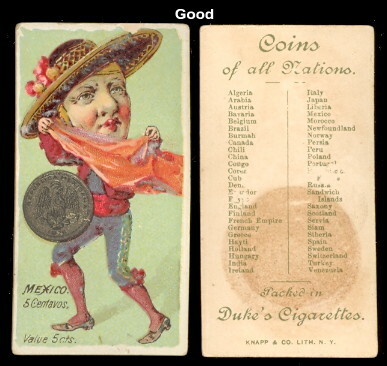 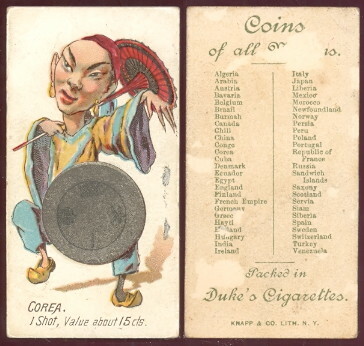 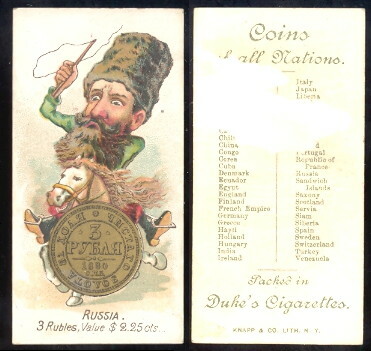 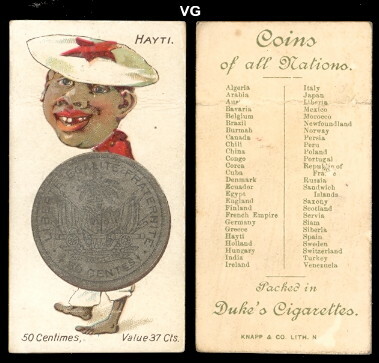 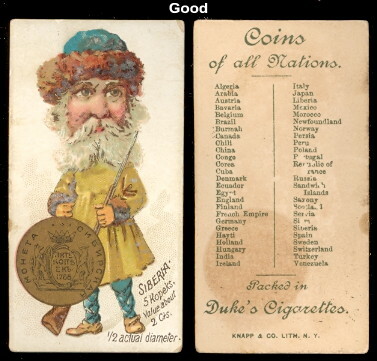 Issued around 1889, The cards measure 1-7/16" X 2-3/4" and there are 50 in the series. 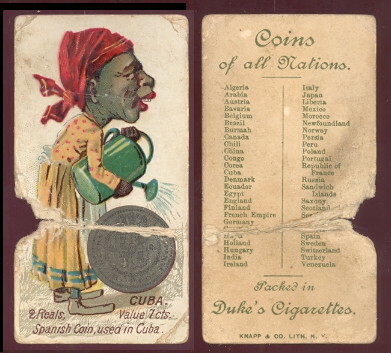 The cards have an unnumbered checklist on the back, and show cartoon like drawings of people from foreign countries and their currency.